Contact Heather Cover ([email protected] or 205.332.6621) if you have any questions about the conference or Jodi Poe ([email protected] or 256.782.8103) if you have any issues registering. “Difficult coworker behaviors” – most of us can relate to that phrase, can’t we? And the fact that it’s so “common” speaks volumes about the environments we face when we show up for work every day. Environments that result in lower morale, lower productivity, lower customer service – and a negative atmosphere that no one really wants to deal with. So, what can we do about such a predictable, but demotivating, scenario? In this session, we’ll discuss difficult coworker behaviors – how should we handle them? Can they be eliminated? Are we part of the problem? This is an opportunity to spend time reflecting on a very human side of your workplace. You’ll come away with a new perspective on what others perceive as inevitable – difficult coworker behaviors – but YOU will be more equipped to deal with them effectively! Effective staff training can be daunting. Learn how Lewis Cooper Jr. Memorial Library puts "inspect what you expect" into play, how Athens-Limestone uses ABLE/SABLE training as part of their on-boarding process, and how they conduct sexual harassment training. Unique and unconventional holidays (National Doughnut Day, Eat Ice Cream For Breakfast Day, Young Readers Day, etc.) can be implemented in library programming through creative programming and fun displays for everyone to enjoy. Do you have high hopes for community programs, but a low budget? Join us as we discuss tips and tricks to offer a variety of successful events on your shoe-string budget! And yet it’s quite clear that we can’t motivate someone else. Sustainable motivation comes from within. We recognize that, of course, but sometimes we just want to help it along! Well, there’s good news! There are ways to help inspire others by creating a motivating environment to promote that self-motivation we wish everyone had. We’ll talk about what motivation is and what it isn’t. We’ll brainstorm together to create a list of ways you can help create an inspiring, motivating environment. We’ll discover the power in praise, and how to use it effectively. Ah...being an inspiration to others ~ isn’t that what we all want as supervisors? Pick up new ideas and share your successes in this informal session. Please bring flyers for your most popular programs—and include contact information in case interested librarians have questions later. How Social Should Your Media Be? Social media for time limits: ie if you have a short time, focus here. More time, add this. Several staff doing it, go big. Learn about Reference USA and the free business research resources available in AVL - and how to use them. 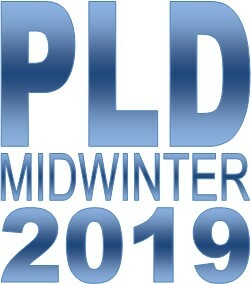 Deadline to register is: January 18, 2019.